Weighing in at just 755g Nikon’s latest 300mm f/4 telephoto prime lens is around half the weight of its predecessor the 1440g 300mm f/4D IF-ED and comes in a smaller unit too. Nikon AF-S 300mm f/4E PF ED VR Specification: Fewer lens elements and better image quality? As lens construction evolves and manufacturing processes improve, big improvements in the optics we shoot happen and that appears to be the case with Nikon’s latest 300mm telephoto prime. Featuring a new Phase Fresnel lens element that uses photo diffraction to effectively minimize Chromatic Aberration, Nikon claim the new 300mm f/4E PF ED VR offers improved optical performance over its predecessor the 300mm f/4D IF-ED with fewer lens elements. We’ll put that to the test properly when we get this latest telephoto prime in the lab but what is certainly true is that the new lens is significantly lighter than its predecessor. Weighing just 755g the new Nikon 300mm f/4E is barely more than half the weight of its predecessor the 1440g 300mm f/4D IF-ED, and almost 4 times lighter than the 2900g Nikon 300mm f/2.8G ED VR II. As well as the new Phase Fresnel element, the revised optical arrangement on the new Nikon 300mm f/4E PF ED VR also includes a Nikon ED glass element for improved sharpness, aspherical elements to control distortion and Nano Crystal Coatings to minimize ghosting and flare. The maximum f/4 aperture is obviously a stop slower than that available on the 300mm f/2.8G model, which could be a deal breaker for many professional sports and wildlife shooters, but coming in a whooping ¢3000 cheaper it’s a sacrifice many photographers will accept. The lens based Vibration Reduction (VR) system in the new 300mm f/4E offers up to 4.5 stops of image stabilisation for hand holding using slower shutter speeds and there’s a new SPORTS VR mode designed specifically for panning fast moving subjects, too. A fluorine coating on the front lens element actively repels water, dust, and dirt without compromising image quality and the lens’s electromagnetic diaphragm is designed to offer more consistent exposures when shooting fast frame rates. The new 300mm is also compatible with Nikon’s range of teleconvertors for extending the focal length even further, but for full autofocus performance you’ll need to be using a camera that supports autofocus down to f/8. 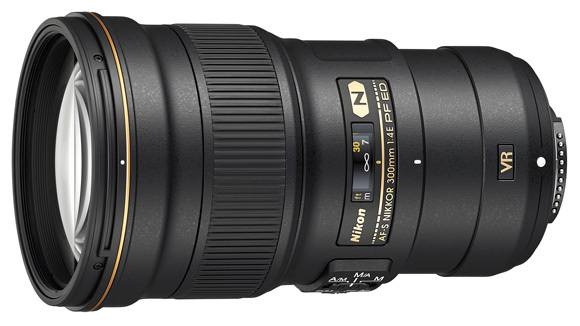 The new Nikon AF-S 300mm f/4E PF ED VR will be available from the end of January costing around ¢2,049. 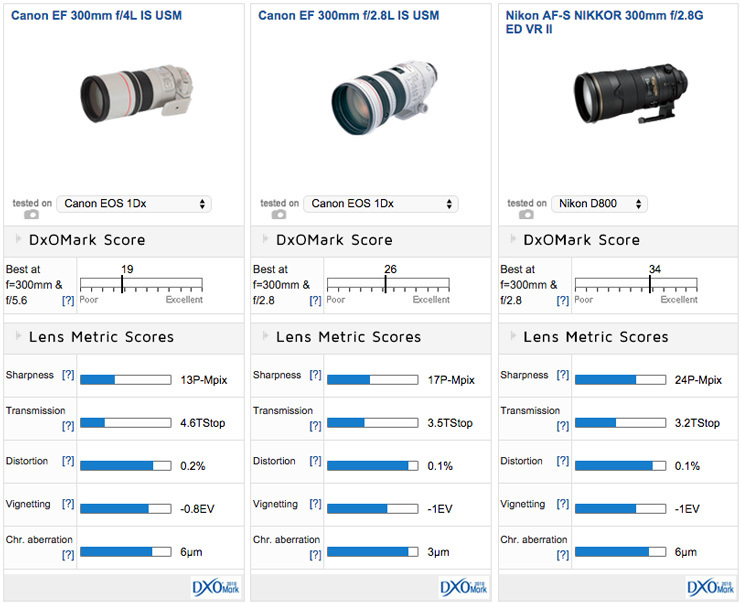 The 300mm f/4E PF ED VR is up against some tough competition from the bigger, heavier and more expensive 300mm f/2.8G, which is one of the best performing lenses on the D800.